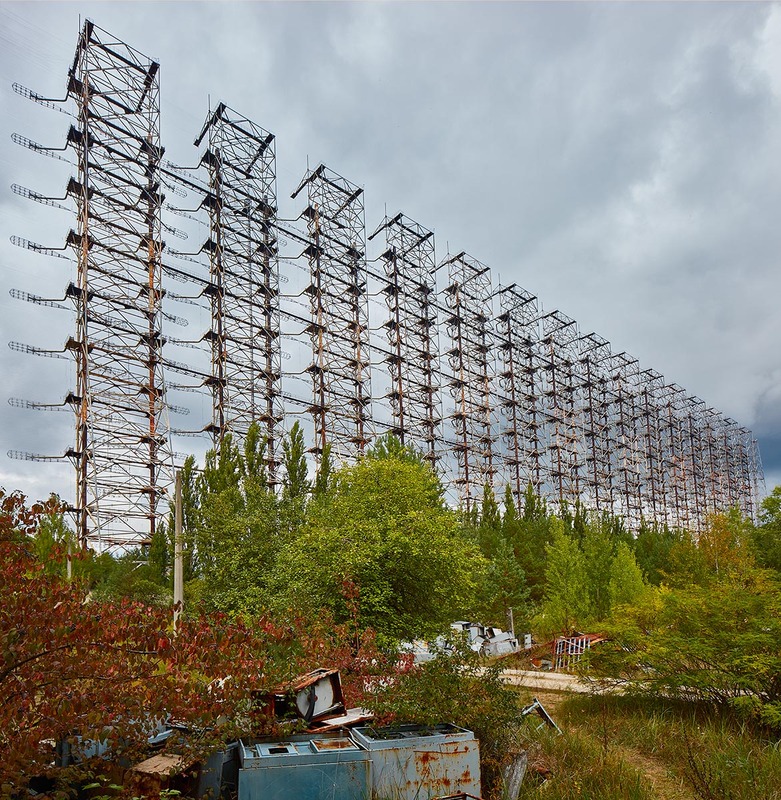 Duga 1 was a major part of the Soviet early warning radar designed to detect nuclear attack from the West. Its intricate antenna juts out from the forest measuring 150x500 metres. Despite being in Ukraine, it was refered to in the west as the 'Russian Woodpecker' because of the strange stocatto taps that it created in short wave radio bands around the world. Situated inside what is now the Chernobyl exclusion zone, it is eerie to see the illustrations of NATO warheads in what was a hotlink to the Soviet nuclear command.